America's wars of the 20th century seem to confirm that ancient wisdom. A complacent, naïve, and isolationist United States came late to both world wars. Nonetheless, once engaged, the United States almost immediately amassed huge armies ex nihilo and produced unprecedented quantities of arms to ensure Allied victories in both conflicts. No other power fought in so many theaters of battle to such effect and with such consideration for reducing its own casualties. Ostensibly, that same pattern of initial blinkered indifference and lack of attention ended by sudden reawakening and panicked mobilization marked the American response to radical Islam. 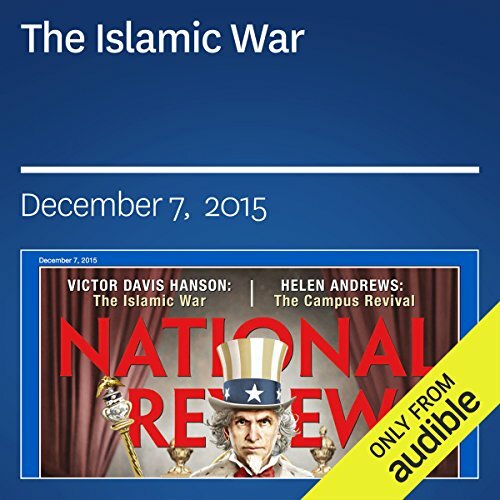 ©2015 National Review Inc. (P)2015 Audible, Inc.